​Experience: Marline Barros is a Boston College graduate with her real estate license in both Boston and New York City. 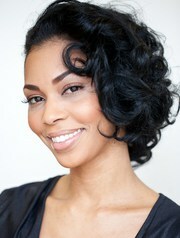 She has worked with youth in foster care, teen centers and is also an actress to name a few of her ventures. Marline is of Cape Verdean descent and originally from Boston, MA but NYC is her home at heart. She is fluent is English, Spanish and Portuguese Creole. Marline is very friendly, compassionate, creative and inspirational. She is very attentive to detail which enables her to serve her clients to the max. Marline has an extensive knowledge of the real estate market which evolves with the market itself. She loves shows such as, "Love it or List, Property Brothers, Million Dollar Listing and Flip this House" to name a few. Her future endeavors are to invest in and flip distressed properties. Her networking is exceptional with an ever growing contact list. Marline's goal is to ensure her client is happy and satisfied.